Lacy Casey is socially awkward, has a goofy sense of humor, and has raised clumsiness to an art form. If you look in the dictionary under "adorkable," you'd find a picture of Lacy. Her friends Sue and Trevor love her quirkiness and accept her for who she is. When Lacy goes out on her first date with Bryce, she assumes it will be their last date. After all, her ungraceful mannerisms practically destroy their dinner; and he keeps calling her by the wrong name. But he comes back for more ... Meanwhile, best friend Trevor harbors a secret love for Lacy, adoring her from a distance. When Bryce turns out to be not all he seems to be, who will save the day? Lacy's gruff father Carl? And what about Gabriella, the mysterious Italian woman who doesn't speak a word of English? 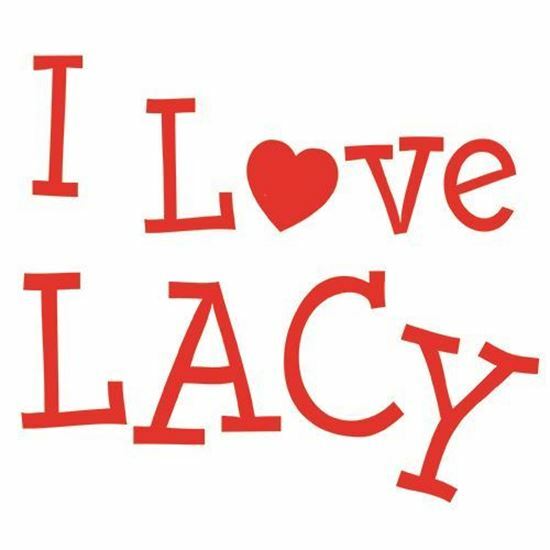 It's a fun, frivolous time, with a dollop of mistaken identity, in the life of a lovable train wreck as we find out who loves Lacy! What's your favorite part or line in the play? Why? My favorite part was writing the scenes with the accident-prone Lacy. Whenever she knocked something over, spilled something, sat on something, or accidentally hit someone, it just made me laugh. Where did the characters come from? Are they based on people you know? They're based more on a conglomeration of character traits of people I know. Remember when I said I recycle all the weird stuff that happens to me into a play? I do that to my friends, too. They know that if something goofy happens to them, it will likely end up in one of my scripts! What did you try to achieve with this play? To make people laugh, pure and simple. Stagecraft is such an awesome union of talents; the writer writes the words, and the director and cast interpret them. To be able to write something that someone else puts their own personal spin on, and thus bring a smile to someone's face ... well, that's what makes it all so much fun. Do you have anything else you'd like to add? Fellow playwright Scott Haan is still one of the tallest people I know. You need to know this in case you invite him to a show and seat him in the front row.